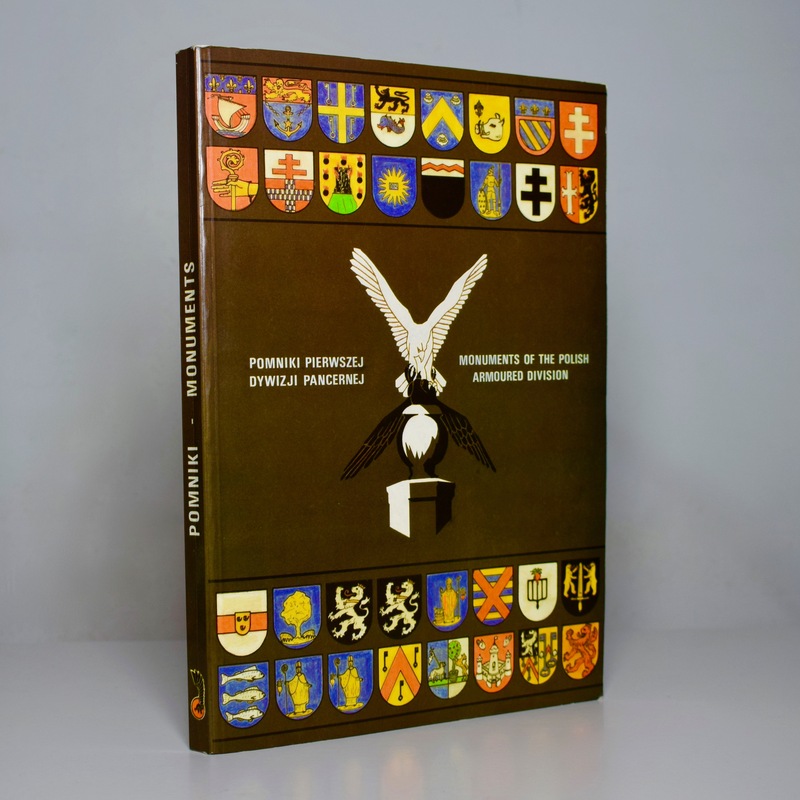 In 1989 Polonia publishing studios UNICORN Publishing Studio and Veritas Foundation Press prepared a photographic album „Monuments of the 1st Armoured Division” edited by Zbigniew Mieczkowski, with photographs and town coats of arms by W. C. Cuber and cover design by A. J. M. Kuszell. This act was performed on the 11th November 1990 by Ryszard Kaczorowski, the last President of Poland Abroad (patron of the Foundation for Support of Art and Culture). 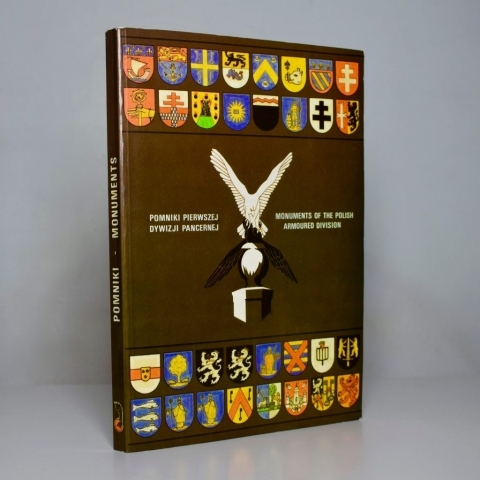 How was the affiliation to a given regiment of wounded or killed soldiers of the 1st Armoured Division recognized? By the soles of their shoes; every regiment had a different type of soles. Polish soldier fights for the freedom of all nations, but he dies only for Poland. Armor, by its tasks on the battlefield, related to the hussar, therefore on the distinctive stamp of the 1st Armoured Division we can see a helmet and a hussar wing. One of the originators of the stamp was captain Stanisław Glasser. The final version was designed by Adam Bunsch. The stamp was approved by the Commander in Chief by the order from 11th August 1942. It will be a story about a brave rally behind the enemy lines featuring one tank, two reconnaissance cars, one jeep and one motorcycle, which in the end liberated Stalag 6C and freed over 1700 women and girls, participants of the 1944 Warsaw Uprising. 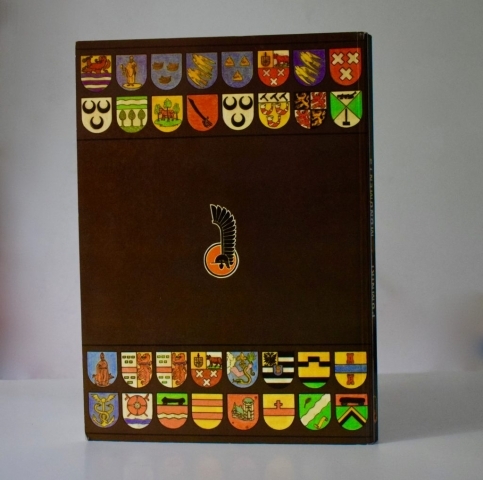 The whole story began on the 8th April 1945, when the 2nd Armoured Regiment of colonel Stanisław Koszutski, commonly known as “Szczutek”, crossed the River Rhein.